At some point in our lives, we have all experienced the vice-like grip of the 'Chinese finger trap'; when pulled, the cylindrical, woven braid is designed to contract and constrain the finger. 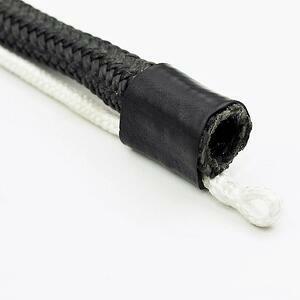 It is this mechanism that forms the simple premise behind French brand Cousin Trestec’s rope ‘constrictor’. 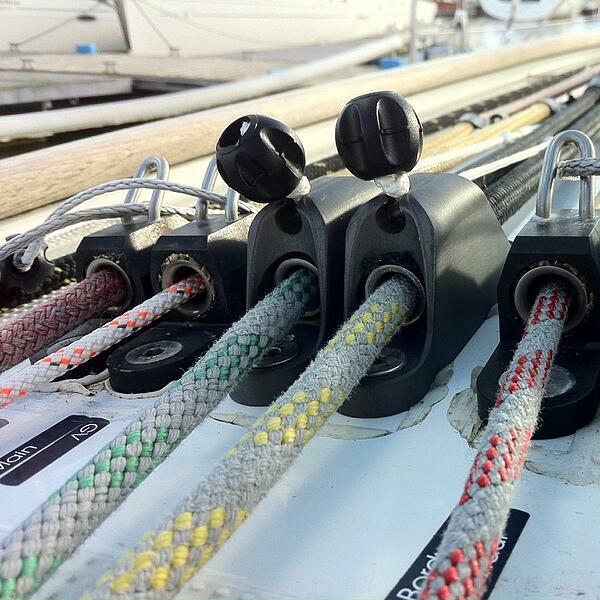 Cousin Trestec – a key player in the manufacture of innovative marine ropes and braided textiles - first designed the constrictor a number of years ago. The product revolutionised the French offshore racing scene, and has gained in popularity ever since, with more and more racing and cruising sailors choosing the lightweight, high load constrictor over more traditional rope clutch designs. The patented constrictor design – which has previously won a DAME award - is simple yet effective. Working as a fibre on fibre rope clutch, the system utilises a hollow, braided, textile sock that - in one direction - enables rope to run freely, but - in the opposite direction - immediately locks the rope into place. A significant benefit is that fibre on fibre interaction is not as harsh as metal on fibre. Whilst most traditional rope clutches crush the rope between metal jaws, the soft braid on soft braid ensures there is no abrasion on the rope - and as a result the Cousin Constrictor is kinder to your running rigging (and therefore your wallet!). 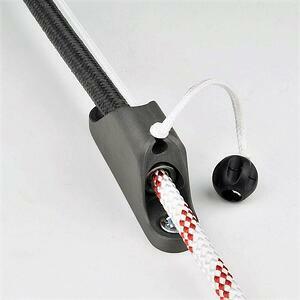 The braided sock also ensures a balanced distribution of the grip. The result? Less wear and tear, plus lower maintenance costs. Another advantage is weight: the Cousin Constrictor is three times lighter than an equivalent, conventional clutch, increasing performance and perfectly aligning with Upffront.com’s motto of faster, lighter, safer sailing. Benefitting from easy installation and maintenance, the Cousin Constrictor is also mountable anywhere – although, due to its length, it does require more space on deck than some traditional rope clutches. However, the lack of moving metal parts ensures corrosion is low and, if damage occurs, the sock can be replaced as an individual part. Ready to make the move towards a textile clutch? The unique constrictor comprises an aluminium housing (which acts as the mountable anchor base), a textile sock made of aramid fibres, a ‘nut and olive’ coupling system to fix the sock in the housing, a shock cord and a Dyneema® control line. Explore the Cousin Trestec Constrictor here - or if you have any questions please feel free to contact us using the form below. Alternatively, get in touch with us at support@upffront.com.